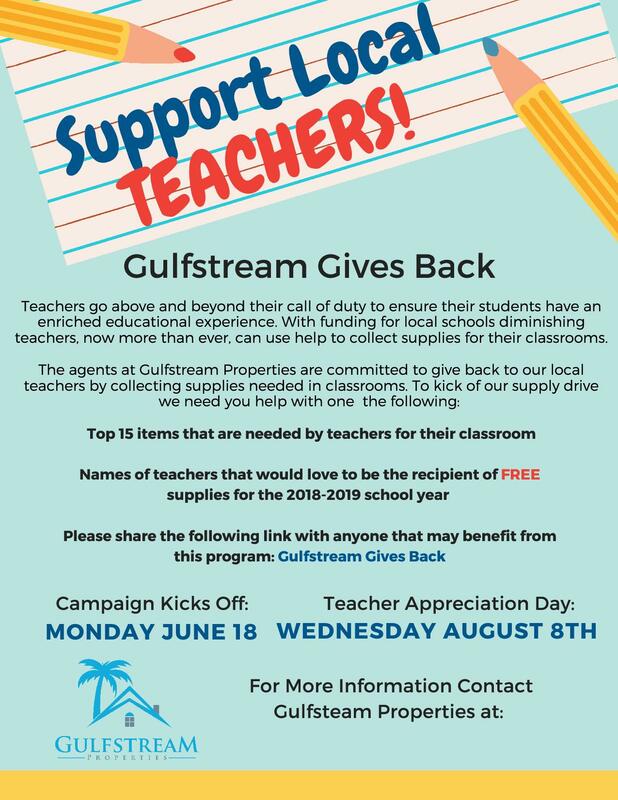 Join Gulfstream Properties in their pursuit to provide Happy School Days all year round! If you know any teachers who could use a helping hand in the upcoming school year, please register them here! They will receive a personal invitation to our supplies Give Away on August 8th, 2018.